Now that winter is just around the corner and this year’s annual training plan has probably long come to an end, it’s time to start thinking about next year’s goals. And with those goals comes a new annual plan. Some of us may have already started training for next season while many are enjoying some much needed downtime. Whichever phase you’re in right now, inevitably your training plan for next year will have an extensive ‘base’ training period. 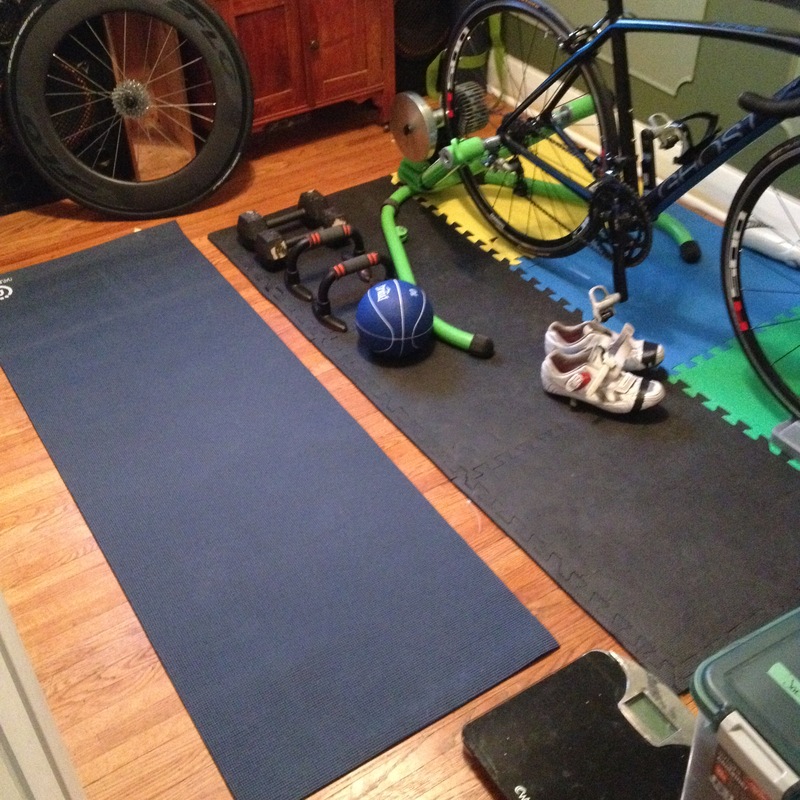 For many this means long boring hours spent on the trainer (if you live in northern climates) at moderate intensity. ‘Classic Base Training’, as it’s now called has been a staple of an athlete’s early season training for years. Recently, however, this has been challenged by both progressive thinking coaches and the scientific community. How much benefit do we actually get from spending hours and hours doing moderate intensity work? Is there an alternative and how effective are those alternatives? In this post I will go over three different schools of thought on base training and what the scientific literature (and practical application) says about each. Classic base training involves long durations spent at moderate intensity in order to build a large endurance base fitness. It has been the standard of professional endurance athletes for decades but was brought to the world of amateur cyclists and triathletes by Joe Friel in his popular Training Bible series. It has proven to be a simple and effective way for athletes to develop the endurance they need to complete their event. The classic distance-based training plan marathoners usually use when training for their first marathon is essentially a form of base training. The athlete runs at a self selected moderate intensity pace which increases gradually each week. In periodized training models, the base training comes early, usually the first 4-8 (but can be up to 12 weeks) weeks of training. The problem with Classic base training is the time requirement which many amateur athletes don’t have. In order for this type of endurance training to be effective, the duration of the activity must increase periodically. Once the body has adapted to running or riding a certain distance, continuing to repeat the workout at the same distance and intensity will no longer stress the body enough to increase fitness and endurance. This is why distance-based plans gradually ramp up the distances, the athlete runs each week. It quickly becomes untenable for amateur athletes to spend 5+ hours riding/running in a single workout multiple times per week. It is excellent for beginners whose endurance is still undeveloped, this is why many beginner runners have success with distance-based training plans initially. But once an athlete has developed a good endurance base and can run or ride for up to 3-5 hours, classic base begins to lose its effectiveness. Some studies have shown that continued repetitive workouts of long moderate duration can actually cause a decrease in performance. Because of the moderate intensity, the body can adapt very easily to the load. If the duration is not increased in each cycle (in a periodized plan) the athlete’s performance will plateau. Sweet spot base training has become popular in recent years for amateur athletes seeking to increase their endurance and aerobic capacity without spending hours training each day. Instead of spending 4-5 hours on the bike several times a week, now athletes can cut that time in half and still achieve the same results. Sweet spot training typically involves running/cycling at around 80-85% of LTHR or FTP for 12-20 minute intervals. This intensity is referred to as the sweet spot. It taxes the athlete’s lactic threshold without going over. By doing workouts like these a few times per week, athletes can develop the ability to complete in long distance events without having to complete those distances in training. HIIT intervals have become very trendy in the personal fitness world and have often been touted as a quick way to burn calories and lose weight. Fortunately for the endurance athlete, the hard science behind HIIT intervals supports development of aerobic capacity more than it does weight loss. Several studies have shown the benefit or doing short bursts of high intensity activity followed by equally short periods of rest. These intervals typically involve hard bursts of power lasting 20s followed by brief 10s recovery periods. They are not easy and to be effective they need to take the athlete to the brink of their fitness tolerance. Some people even vomit after performing a HIIT workout and this is often seen as a sign that the interval was successfully completed. The benefit of these intervals is obviously the time required. A HIIT interval workout can be completed in as little as 25 minutes. The problem, however, is that these intervals are not for beginners or those with certain medical conditions. Most beginner athletes will not have the fitness to be able to produce the power required for these workouts to be effective. A good well rounded training plan should include all three at different points of the athlete’s career. All athletes should start out with some form of Classic base training. In order to develop endurance, athletes not only need to spend time doing their sport but also need to get used to what it is like to actually spend 4+ hours running a marathon. Sweet spot training can be included for time crunched athletes but in general, Classic base training should be the basis of an athletes first year of training. As an athlete progresses higher intensity workouts can be included into the training plan. Keep in mind that Classic base training is the only model that can be used on its own. Never develop a base training plan that includes only HIIT intervals. Sweet spot and threshold work can be done for the most part on its own once the athlete has had many years of building an endurance base. A effective way to make use of all three is to vary the instances of each type of training in each microcycle. In a periodized plan using 4 week training block (three work, one recovery), varying the blend of the three can lead to greater adaptation and prevent plateau. To do this maintain a 60/20/20 ratio of workouts, alternating the emphasis in each week. Below is a sample training plan showing what this ratio might look like in a ten hour training week using 60 Classic Base, 20 Sweet Spot, 20 HIIT. The variation in emphasis is referred to as summated microcycles. Each week is a microcycle devoted to a different type of exercise which develops the same system. This type of training allows the body to develop a strong endurance base without having to worry about hitting a plateau or losing fitness due to stagnation. After the base phase comes the build phase where athletes start to build their top end power and fine tune their strengths. For more on this period check out the article, ‘How to get the most out of your build phase’.